Description Kearns Building on Main Street decorated for the Christmas season. 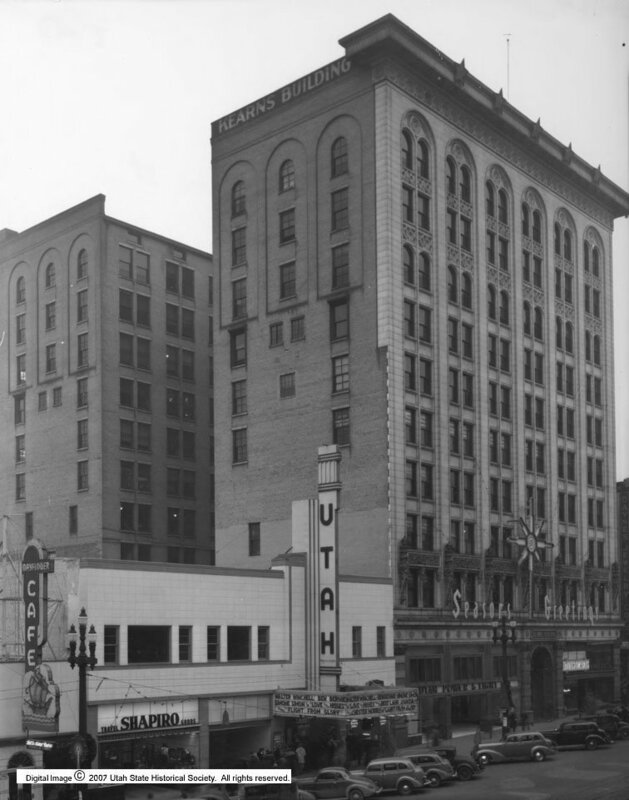 Utah Theatre in center featuring movies Love and Hisses and Flight from Glory. Rights Management Digital Image © 2010 Utah State Historical Society. All Rights Reserved.